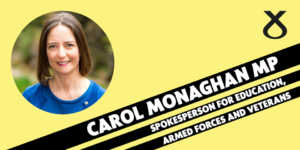 Carol Monaghan, MP for Glasgow North West, has been appointed the SNP’s Westminster Spokesperson for Education, Armed Forces and Veterans. Monaghan, a former physics teacher, will continue press the UK Government to confirm the rights of EU nationals studying and working in our universities to remain in the UK, protect student exchange programmes like Erasmus+ and call for the reintroduction of a Post-Study Work Visa scheme in Scotland. “I am delighted to have been appointed the SNP’s Westminster Spokesperson for Education, Armed Forces and Veterans. “A hard Brexit will have a devastating impact on our world class universities and research institutions. “We cannot afford to lose the academic talent we depend upon, including the thousands of EU nationals that contribute to Scotland’s success as highly valued staff and students. “We need a solid guarantee that EU nationals will be allowed to remain, and clarity as to how vital research and development funding, like the like Horizon 2020 programme, will be replaced post-Brexit – this cannot come at the expense of the taxpayer. Monaghan, who comes from an HM Forces family, has said that the Scottish Government is “leading the UK in supporting veterans”. 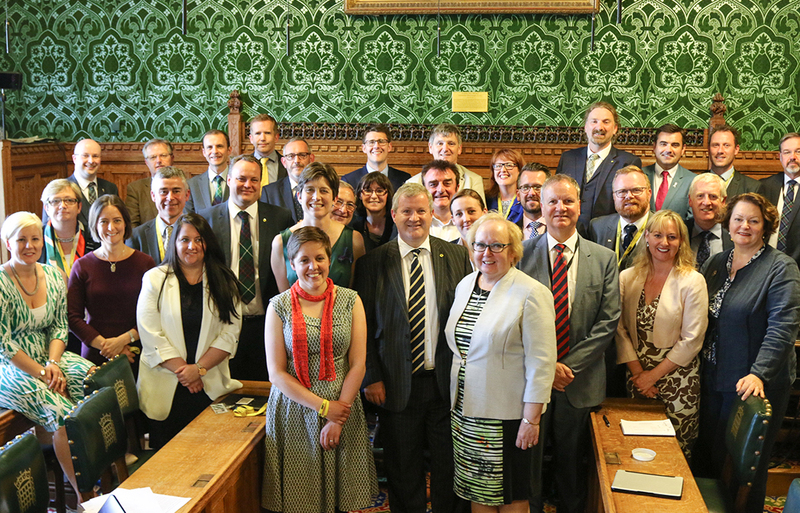 The SNP appointed the first Scottish Veterans Commissioner, dedicated to promoting the interests of former members of the armed forces; established the Scottish Veterans Fund promotes social inclusion, health and wellbeing for veterans and their families; and continues to provide funding for the Supporting Veterans into Employment initiative. “Coming from an HM Forces family, I am dismayed by the Tories’ cuts to our armed forces. “While the UK Government has been letting down our service personnel and veterans, the SNP Scottish Government has been leading the UK in supporting veterans, such as ensuring the War Disablement Pension is exempt from income assessment. This approach should be taken to all social security benefits, so that those who have been injured in the service of our country will keep the full value of their pension. “The UK Government must prioritise the duty of care to service personnel, veterans and their families, especially in the event of a loss of a serving relative, and put an Armed Forces representative body on a statutory footing.